NEW YORK: Tibetans in New York turned up in large number to witness the photo exhibition on the Life and Legacies of His Holiness the Dalai Lama and the contemporary history of Tibet. The fourth leg of the month-long North America tour was held from 5 to May 6 at Satya Narayan Mandir in Jackson Heights, New York. Representative Ngodup Tsering, Office of Tibet, Washington DC was the chief guest of the event and inaugurated the two-day photo exhibition. After the inauguration, Tashi Phuntsok, Director of the Tibet Museum briefed the gathering about the two-themed photo exhibition and also apprised them about the new Tibet Museum project slated to be opened by the end of this year. 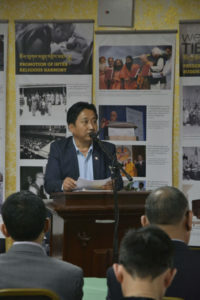 Representative Ngodup Tsering, in his address, recalled the moment when the Tibet Museum was first inaugurated in 2000 and that he realized the significance of a Museum at that time. The representative also commended the hard work and the effort of the Tibet Museum. ‘Out of this world-A journey into forbidden Tibet’, a film depicting the journey of Lowell Thomas Sr. and his son into Lhasa, Tibet in 1949 was screened along with the new Tibet Museum’s promotional video. The film features footages and photos of Tibet and its people and thereby offers a glimpse into the lives of Tibetans before the Chinese invasion. 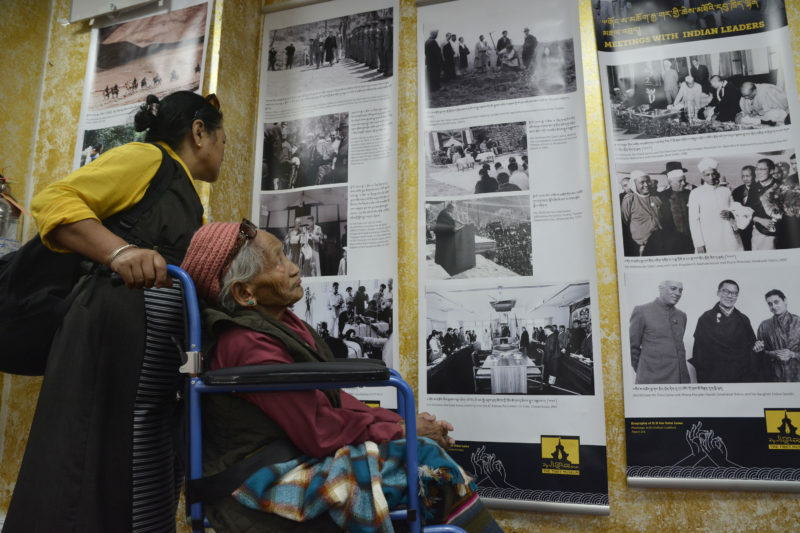 Tibetans, elders as well as students visited the photo exhibition and were led through the photo exhibition by the staff of the Tibet Museum. The photo exhibition was held in collaboration with the ‘Tibetan community of New York and New Jersey’. Joseph Crawley, Democrat Congressman from New York, briefly visited the exhibition site and he was greeted by Mr. Tashi Phuntsok and was presented a copy of ‘Glimpses of the history of Tibet’. The Tibet Museum is scheduled to showcase its next photo exhibition at Norwich, Connecticut on 9 May. 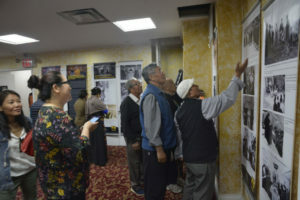 Tibetans in New York turned up in large number to witness the photo exhibition on the Life and Legacies of His Holiness the Dalai Lama’s and the contemporary history of Tibet-organised by Tibet Museum, DIIR. Representative Ngodup Tsering viewing the photo exhibition on the Life and Legacies of His Holiness the Dalai Lama and the contemporary history of Tibet-organised by Tibet Museum, DIIR. Representative Ngodup Tsering addressing the inaugural ceremony of the photo exhibition on the Life and Legacies of His Holiness the Dalai Lama and the contemporary history of Tibet-organised by Tibet Museum, DIIR. Director Tashi Phuntsok delivering the inaugural remarks at the inauguration of the photo exhibition on the Life and Legacies of His Holiness the Dalai Lama and the contemporary history of Tibet-organised by Tibet Museum, DIIR. 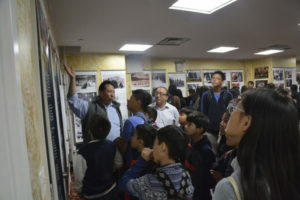 Tibetans in New York turned up in large number to witness the photo exhibition on the Life and Legacies of His Holiness the Dalai Lama and the contemporary history of Tibet-organised by Tibet Museum, DIIR.